“Style knows no age and no boundaries”, isn’t that a very true statement? Dresses for old women are plenty. However, experimenting with fashion and trends is the way of life. We are going to speak about some trendy yet comfortable fashion for the older women today that not a lot of people indulge in. The term fashion is defined as “the popular style or practice, especially in clothing, footwear, accessories, hairstyle, makeup, and body. Fashion is a distinctive and often constant trend in the style in which a person dresses” So yes, there is no reference to age or group to be fashionable. In fact, past fashion industry always had a focus on the youthful and new faces, however, it is high time we give few of our style stars who have carved their way to make their own niche by staying unique and mixing trends with style over the time. 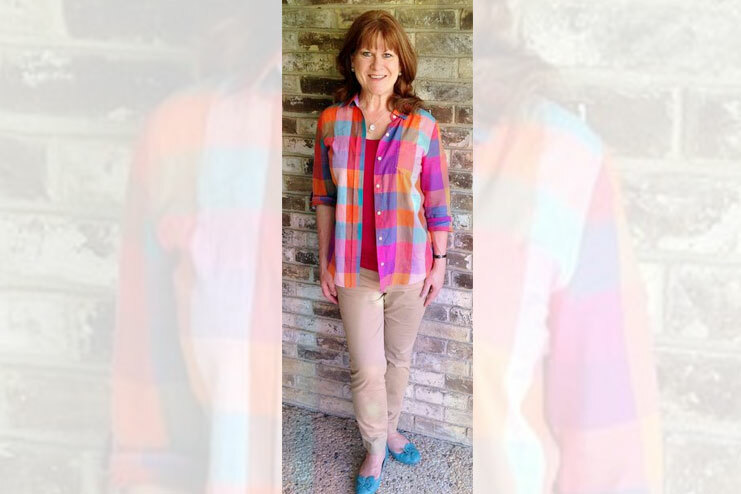 Fashion for older women is finding that perfect balance between the looking and feeling comfortable and the best. We have seen the majority of women often tend to fret over adding the candles to their birthday cake each time. Most of the fashion does not specifically aim at women over 40’s or 50’s. But, there is always a little girl hidden in every woman. The girl wants to be liberated, feel she is beautiful, wants to get out and show it to the world no matter how old she gets. Even though, plus size clothing does not offer this and women feel it is not meant for them. The women, in turn, spend time hiding amidst the pile of clothing that does not make them feel great or flatter them, in turn, brings down their confidence levels too. Well, tell you what, all this is going to change. We are here to help you with the ways you can still feel in fashion and style at 50. A good sense of dresses for senior women would be the one in which it helps them to ooze the confidence, no matter what their age is. As the years’ pass, women tend to overlook the factor of styling. However, style dresses for older ladies and fashion are one thing that surely is inspired by a lot of Hollywood divas – Madonna and Tina Turner. They show how to have fun at any age. • Fashion after 60 should never be dull. You must not dither to pick up bright lively colors. Although not every bright color could be easy to wear, they bring in the best in you. The energetic impact of the colors we wear simply comes alive. Wear your ideal palette and you stay visible. Every color has energy and each color affects us emotionally deep also some on the psychological levels. The so-called “cool colors” are called so because they have calming effects on us and people who see the others wearing this color like the blue, green and shades of purple etc. The warmer colors usually speak of vitality and energy or action – like orange, yellow, red. The colors liven us up. Help yourself to establish a unique ‘brand’ in the world by wearing clothes with colors our eyes value. Dresses for elderly ladies should be colors that they have known works good on them. Wearing dress of the color of our eyes (iris) that helps us is approachable and believable. a. Does it make your eyes sparkle? b. Makes the skin look healthy? c. Does it compliment the regular things you wear and harmonize? d. Enhances the color of the eyes? Aren’t these amazing casual dresses for older women? • Stay fashionable after 50 without breaking a bank. A soft gentle breeze sweeping your hair back, letting you gracefully glide down the ramp with flashing cameras wearing Gucci or Prada is all that you imagine. But maybe that could not be the reality with the funds you have to support it. You do not need to wear Gucci or Prada to step on the runway. Keep it elegant with the simplicity. You can rock your outfit with the creativity and planning and trust us; you can look like a million bucks on a slimmer budget. The secret lies in knowing what you want to buy and how you could turn an ordinary into extraordinary. You must look beyond the brands. Fashion and quality at the best price is the ultimate thing. Not everyone wears a high priced or higher end clothing. Keep the outfit classy by not spending too much on the dress but spending the time to see what you have to pair it up with from your wardrobe. Look at how the animal print clutch just goes amazing with the red plain cold shoulder dress. Doesn’t it look fashionable yet effortless? That is the whole point, isn’t it? You cannot keep changing your wardrobe every month or when the trends change, it goes heavy on your pockets. Instead, look at how you could put the things from your wardrobe to get your look trendy. It goes the same for all age. Best dresses for older women do not have to be pricey. A simple solid dress could go excellent with a denim jacket and a delicate neckpiece as in the picture above. Or a denim with simple shirt topped up with a solid sweater plus a layered neck piece makes it a brilliant classic look. Get those jeans that show off your curves. It would make you look amazing.An effortless way of dressing could be to wear that stylish leather jacket. They are classy and never go out of fashion. Dresses for mature ladies could be endless with the fashion and style around. Why do you need to cover up your curves when you turn 50? Plus sized women mostly deal with the unsolicited advice for what to wear and what not to, the right color and unacceptable style or cuts etc. Even though these pieces of advice come from the best intention, it could be insulting to the person. If you have a curvy body, the misconception that runs around is to hide it. When you hide it with a bulky sweater or a long coat, it makes it worse. A reality check: You are pretty as you are and hiding behind the layers makes it worse. Don’t be fooled by covering up your beauty. Do not limit yourself to just one store. Find the deals and keep looking and trying new places to shop. There are varieties of shopkeepers including the online shopping which is in trend now. Not every designer or fashion designers understand the needs and requirement of plus size women. It surely is not just a matter to extend the measurements from all sides and upsize the dress. More than anything it is about a perfect fit which gives a perfect shape to the plus size woman. Once you choose the clothes that fit you appropriately, you are ready to walk the ramp. The runway is all yours. • What’s old is new again. 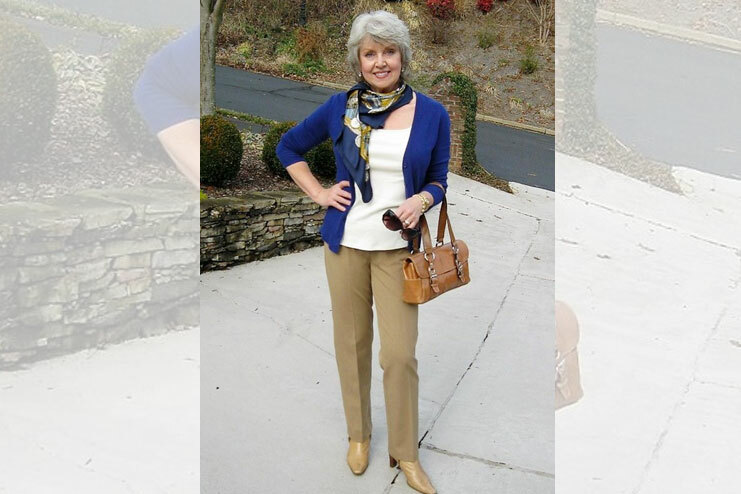 Isn’t this the best part about fashion after 50? It is time you realize, fashion comes all over again trending the old treasured items. You must not be an impulsive shopper hence, the things that you have treasured in your wardrobe are sure to come back in trend and rock your fashion world. Dresses for senior citizens do not necessarily be the in trends. They are more on what suits their style and bodies, making them look elegant and sophisticated. The classic black and white combination with palazzo pants and the top is back in trends. Makes you look modern and trendy. Isn’t that something makes you comfortable in too? Wide belts which were popular in the 40’s and 50’s are some really amazing trending thing now. The junk jewelry you though have gone out of trends is completely fashionable and in trends now. The western style boots are popular for this season. The trends just keep coming back and that is the best part about dresses for seniors who could bring back their lovely fashion back to life. Remember velvet was the trending material in the early 50’s and nevertheless comes back to trend over again. The perfect velvet dresses and pantsuit look so edgy now. Take a look at the picture below; black velvet jacket with red velvet boots just makes it look so quirky and trendy. Capes and blankets are the unexpected choices from the past that have come back in trend. The ponchos and big scarves were worn several years ago. You can relive them today again. • Accessories after the 50’s. The dresses for mature ladies always have an added elegance with the scarves added to it. Older women dresses look excellent with the extra layers to keep them warm and trendy. Dresses never felt more comfortable after adding the scarf the right way. The best part about it is you feel secured under the scarf and also it goes brilliantly with the rest of your outfit. It surely does not have to be very trendy. Look at the picture above, effortlessly the woman wears a scarf around her neck with plain top and jeans. Sum it up with or without a jacket for that fashionable look you might ever think of. See below. There are many ways in which you can style your scarf but it is indeed time for you to remove all those beautiful collections of scarf from your wardrobe and put in use. No wonder it is an effortless style to your outfit.